Damn it all. Why did I pick such a beautiful anime to review in this month’s Movember theme. Also, the final paragraph of the following review contains HUGE spoilers for the film’s ending, so read at your own caution. I refuse to add mustaches to this review, so here are some scenic shots. 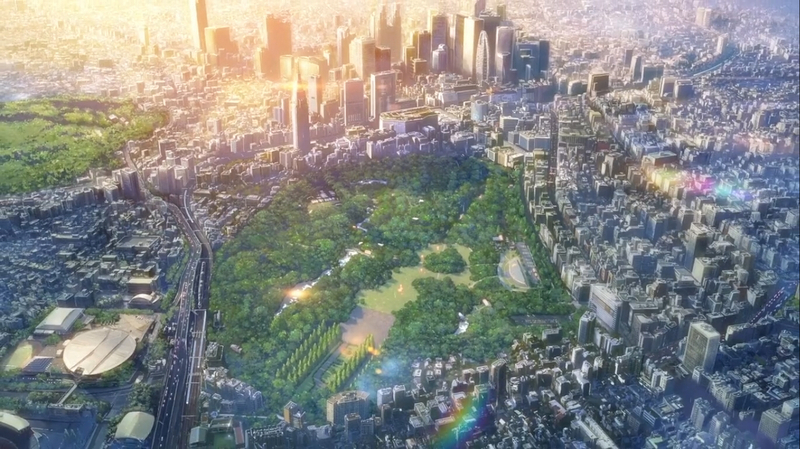 If there’s one overarching theme that connects all of Makoto Shinkai’s works, it would be “distance”. 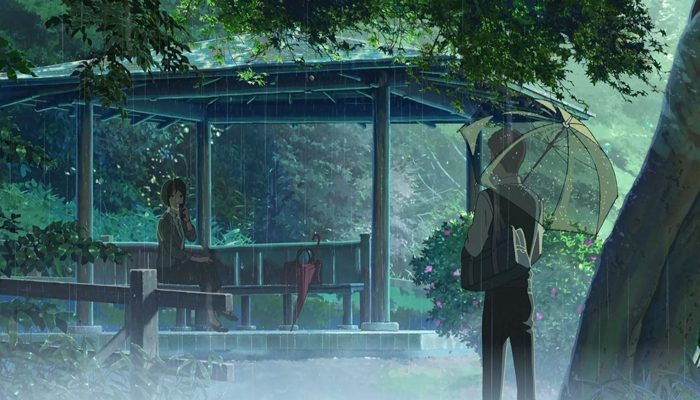 As a bittersweet love story, The Garden of Words carries similar expectations to Shinkai’s other popularized works such as 5 Centimeters Per Second, The Place Promised in Our Early Days, and Voices of a Distant Star. Shinkai uses beyond gorgeous animation to tell a modest yet believable story, and The Garden of Words is as bare-bones as possible for a romance. … Editors of the Vault. Have mercy. The movie takes place over a summer, where a 15 year-old aspiring shoemaker meets an eccentric and mysterious 27-year old woman. Their back-stories are hardly touched on, but the boy is portrayed as wise beyond his years, independent and seemingly forced to grow up prematurely. On the other hand, the woman is more aloof, and clumsy in her behaviour. She feels as if she’s unable to move past her youth, but reveals little else otherwise. As in other Shinkai films, the dialogue exchanged between the two characters is minimalistic, and for the most part, overshadowed by the appealing visuals and underlying themes. 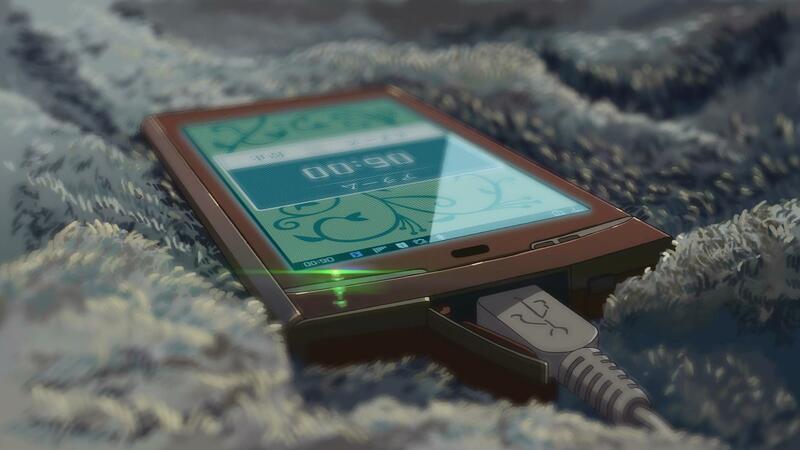 However, the frequency of silence is what best represents Shinkai’s abilities as a storyteller, and therein lies the significance of the movie’s title, “The Garden of Words”. 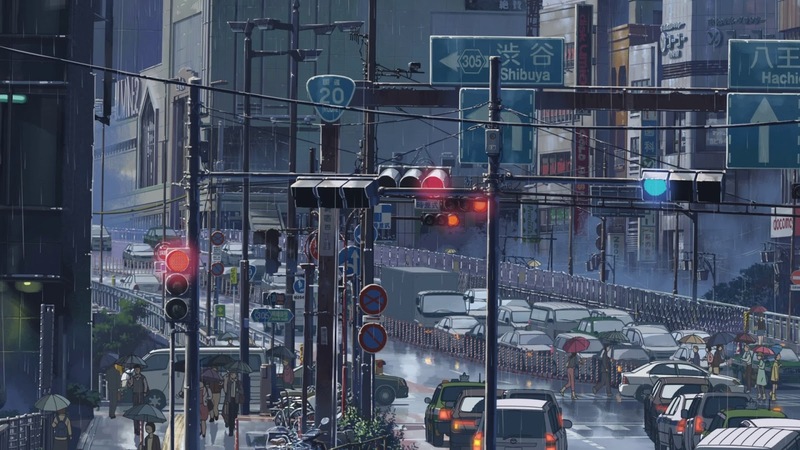 Each setting featured in Garden of Words is based off of a real location in Shinjuku, Tokyo. 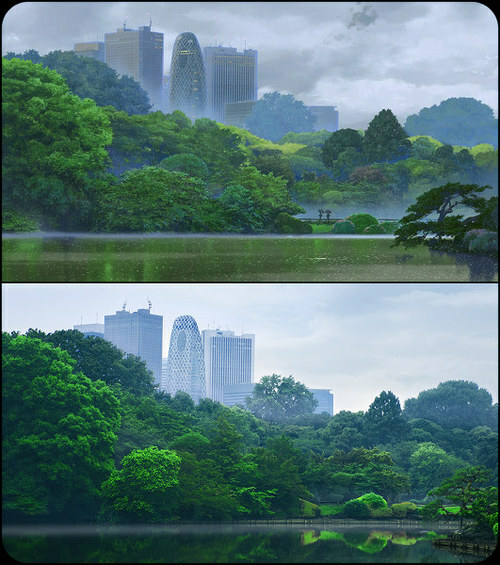 Can you tell which of these images is the reference shot? 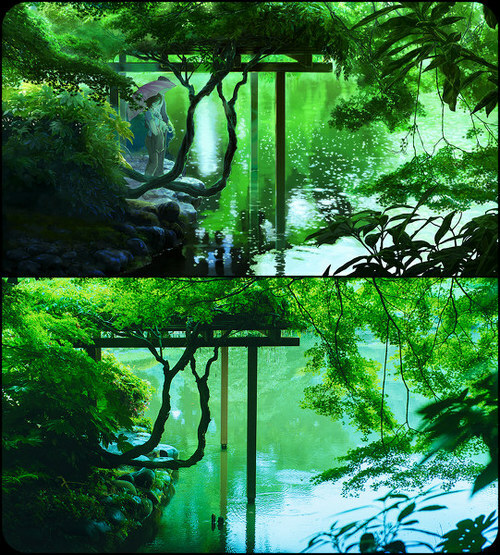 Having recently visited Tokyo’s Shinjuku Garden (Shinjuku Gyoen), which provided the setting for Garden of Words, I was absolutely awe-struck with how accurately these locales were animated. Shinjuku Gyoen is, by far, the most beautiful park I have ever visited, and its luscious trees and gorgeous landscape were captured brilliantly in the movie. Despite being a character-driven movie with first person narration, the film devotes a great deal of time to scenic shots. Shinkai has drawn a fully realized yet enclosed setting, and the details he’s put into this garden are nothing short of gratuitous. 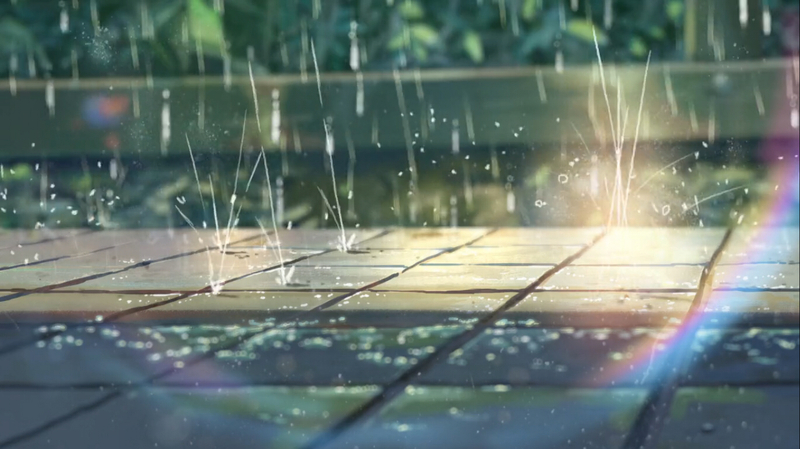 Shots of a cicada shedding its shell, raindrops dancing on the surface of a pond, and a tree branch dipping into a lake boasts an almost over-bearing attention to detail, but these gratuities do more than show off Shinkai’s talents as an animator. Due to the differences in age and personality between the characters, the garden is supposed to express what the characters themselves cannot – a “Garden of Words”. The two characters are ecstatic at the sight of rain, which is usually a heavy-handed symbol for sadness or isolation, due to the figurative haven that the garden provides and its ability to emotionally connect the two beyond words. Have you ever seen an anime put such detail into mundane events? In the sound department, The Garden of Words consists mostly of ambience, with the exception of a handful of beautifully composed piano solos. 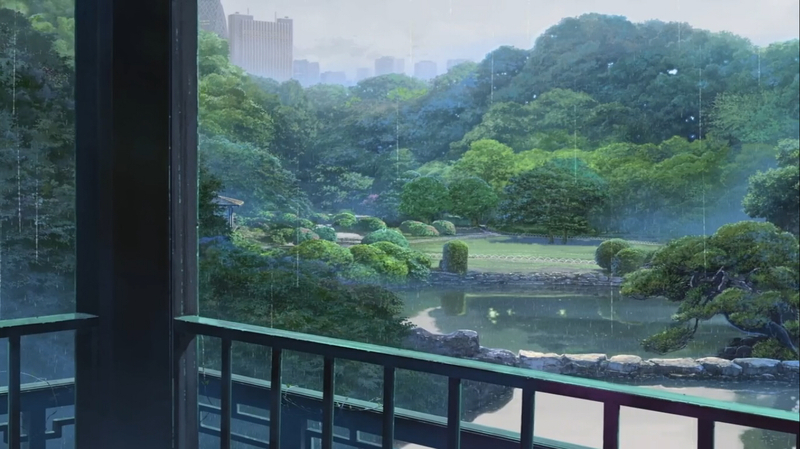 Both were done with great effectiveness, with the sound of rain meticulously matching each animated droplet and the piano solos capturing the overall mood of the story. The Garden of Words is probably the most visually appealing anime I’ve ever seen, yet it may not be as memorable story-wise, nor can it avoid comparisons with Shinkai’s other works. That said, its subtleties in storytelling and flawless visuals makes it absolutely remarkable, and a veritable visual feast for fans of the romance genre. Each frame in this movie is a wallpaper in and of itself. Seriously, this movie’s worth watching for the visuals and animation alone.